Platinum Informatics, a spin-out company from the University of Dundee, was one of the big winners at the Scottish EDGE Awards last night (December 6), receiving £100,000. Platinum Informatics provides state of the art software solutions for the management, visualisation and analysis of large and complex data sets in a wide range of laboratory and industrial environments. The company is commercialising software developed for more than ten years within the University of Dundee by Professor Angus Lamond’s team in the School of Life Sciences. Platinum Informatics has built upon software created for the analysis of biological big data, generated in Professor Lamond’s world-leading Laboratory for Quantitative Proteomics. The software was originally created, with funding provided by Wellcome, to support the analysis of human disease mechanisms. 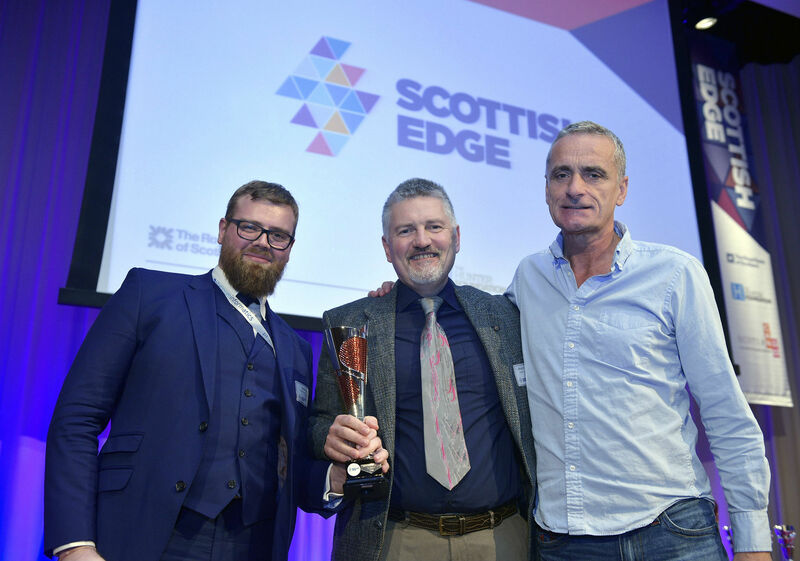 The Scottish EDGE Awards gave out almost £2million in funding to winners, a sum boosted by additional funding of £1million from Scottish Enterprise. The winning businesses came from 39 Scottish EDGE finalists who pitched their business ideas to an expert panel of judges, chaired by Simon Hannah of Filshill and Kerry Sharp of the Scottish Investment Bank, live at The Royal Bank of Scotland Conference Centre over a two-day period to accommodate the increased number of finalists. The £100,000 given to Platinum Informatics was the maximum amount in the Scottish EDGE category. As the UK’s largest business funding competition, Scottish EDGE has awarded over £11 million thus far with prizes given as a 40% grant and a 60% loan and a maximum award of up to £150,000. The loan is paid back to help fellow entrepreneurs on their pathway to success.